MAKE YOUR OUTING WITH YOUR BABY LESS STRESSFUL by anticipating all your baby's needs and smartly organize all the essential items for instant baby care. 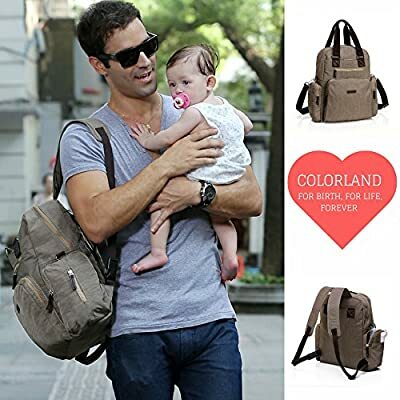 Our amazing Baby Diaper Backpack offers 9 spacious pockets one for every need MOM AND PROUD, UNLOCK YOUR STYLE - The easiest way to add style to an outfit is by accessorizing it which will not be the case if you lug an ugly diaper bag all over the place. Our Incredibely clean, minimalist lines extend the sophistication of a stylish backpack embellished with elegant design. And because you sailed out the door with little more than lipstick, keys, and cell phone our new design offers spacious interior and a lot of inside pockets. 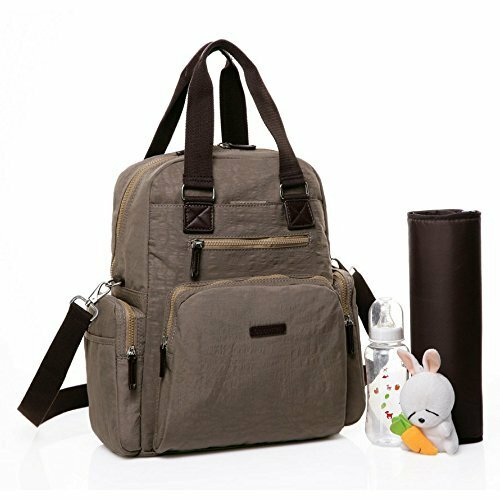 This backpack is perfect for everyday use ACTIVE MOM! TAKE FULL CONTROL - The most appreciated benefit by active parent is to have both hands free when you travel with your baby. 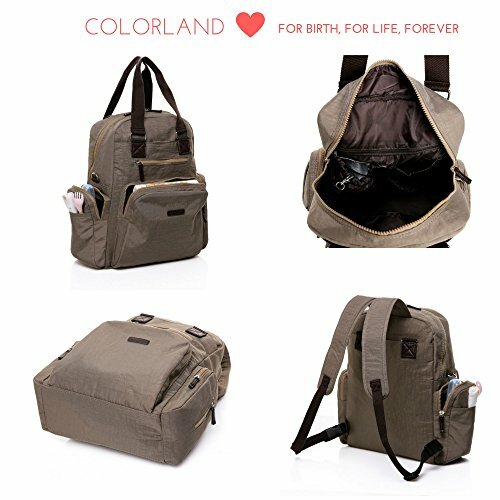 Our Innovative diaper backpack is extremely comfortable and easy to carry as it distributes the weight evenly on your body. 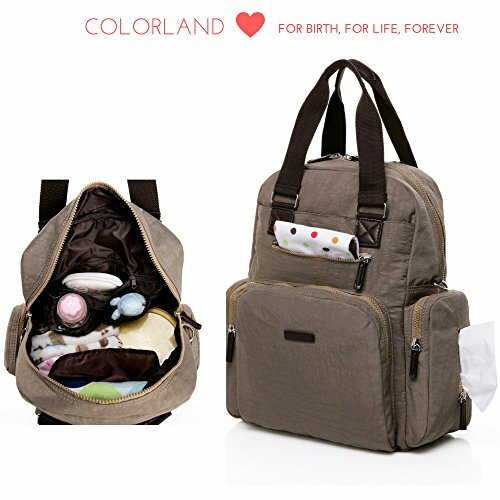 Practically designed allowing you to free up both of your hands, so you are able to use them to better care for your child, by having a fast and ease of access to your stored items using the different available pockets DAD, STOP SHY AWAY - You can confidently carry a diaper bag that look like a normal backpack. The gender neutral design allows you to wear it and fully enjoy your fatherhood. We especially chose unisex color so dad can wear it without being shy. Our backpack is perfect for both moms and dads GET READY, BUY WITH CONFIDENCE - We offer 30 days money back guarantee, no questions asked! We always stick by our products and customers not matter what. Our outstanding support team is only a message away to give you the best customer experience. 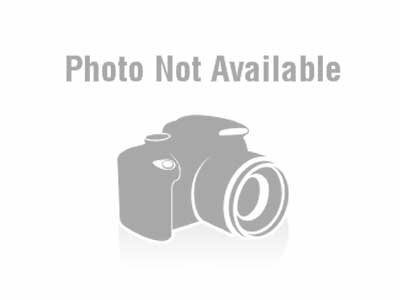 Just click add to cart, and fully enjoy!